Lum-Tec Combat B37 – The B37 Combat watch features 24-hour increments, 200-meter water resistance, and anti-reflective sapphire crystal glass. Different but won’t let you down. Herschel Supply Co. Roy Wallet – Perfect for holding you must need cards and cash for those who don’t like the minimalist movement. 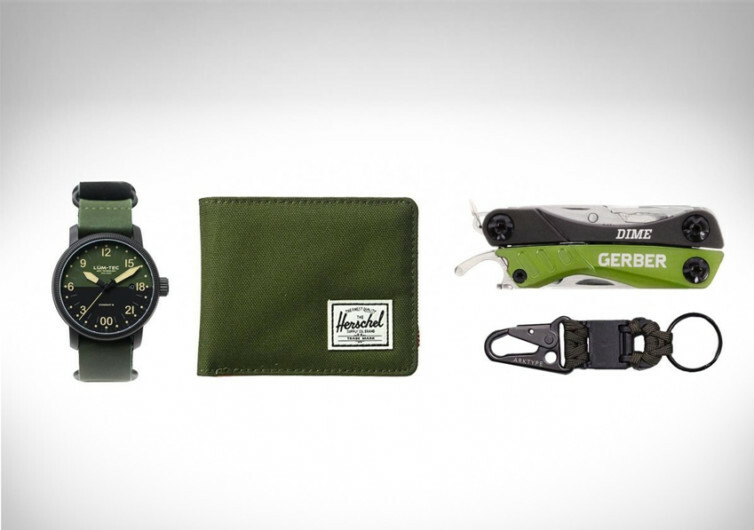 Gerber Dime Multi-Tool – The Gerber Dime is designed to keep you prepared. Always. The blade is designed specially to cut and score plastic packaging. Arktype MK Paracord Keychain – The MK Paracord Keychain combines functionality and convenience to your EDC. It has a magnetic quick release system to give your must need items speedy access when you need it.